I have to work to get my veggies. Even then I’m always trying to find more ways to trick myself into eating more. 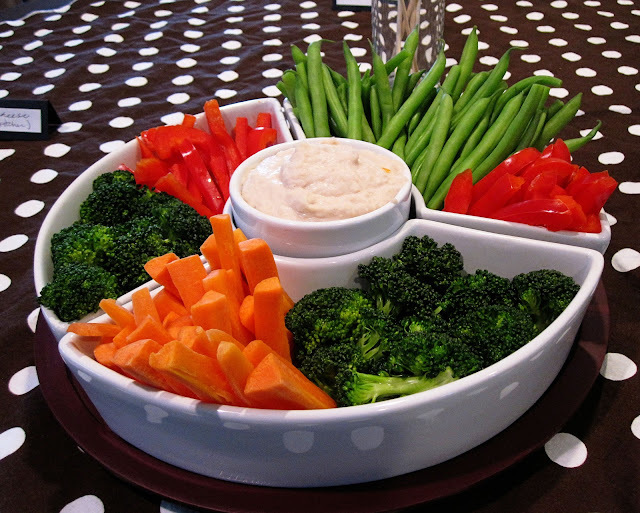 My mom made this veggie dip for one of the parties earlier this year and I totally gobbled it up. I can prep a whole munch of veggies on Sunday whip up a batch of dip and eat it all week. It totally satisfies the salty snacker in me. It looks so basic but I’m telling you this is amazing and I’ll eat load of veggies with this (p.s. it’s good with tortilla chips too). My favorite veggies are blanched (boiled for a 3-5 minutes) green beans, and asparagus and raw carrots . But we’ve also served it with peppers, jicama, celery, cuccs and blanched broccoli, whatever veggies you like really would totally work.